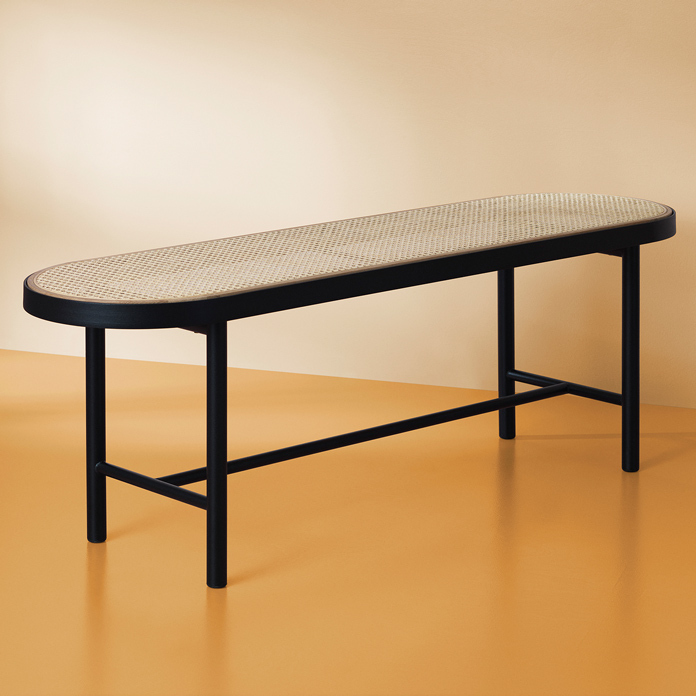 Elegant bench available in both a classic version in solid wood or in solid wood with a wicker seat and a light metal frame that make for a sophisticated, hovering look. A bench can always be used to add extra seats around the table but can also be used as additional seating elsewhere in your home. 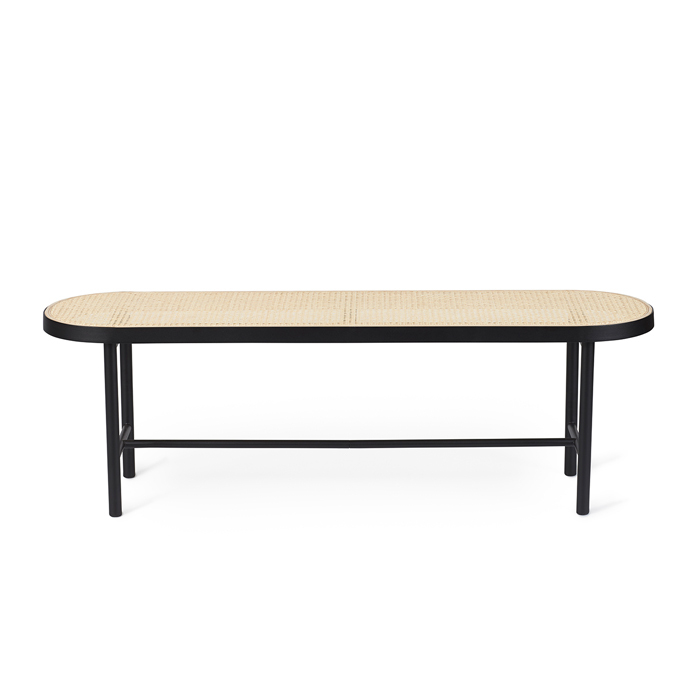 The design taps into classical references with its rounded edges, and the Be My Guest bench has a natural beauty that makes it a beautiful companion for the dining table in the same range. When not in use, the Be My Guest bench provides a perfect surface for still lifes made of magazines, pillows and other interior you wish to draw attention to and it can also be used as a small elegant table. Choose between several types of finishes in oak or the model with wicker seat and metal frame. 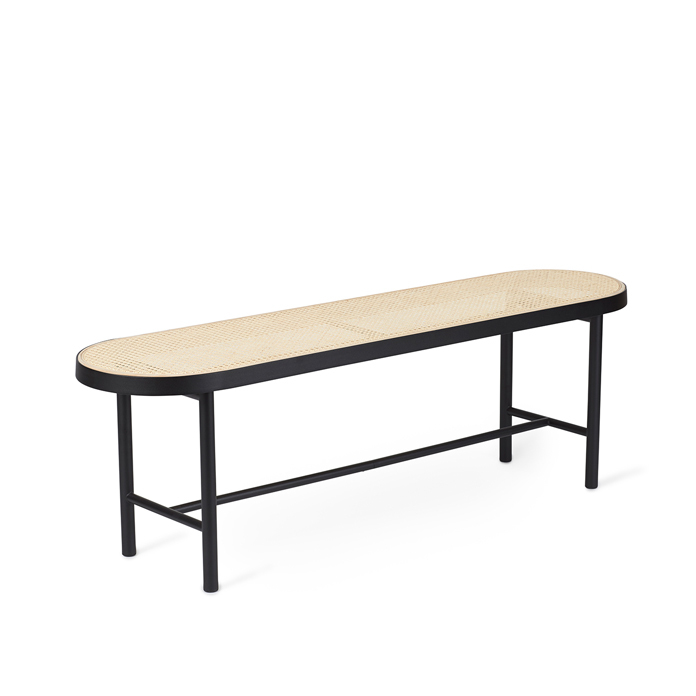 This beautiful bench is part of a range by Charlotte Høncke, which also includes an elegant dining table. 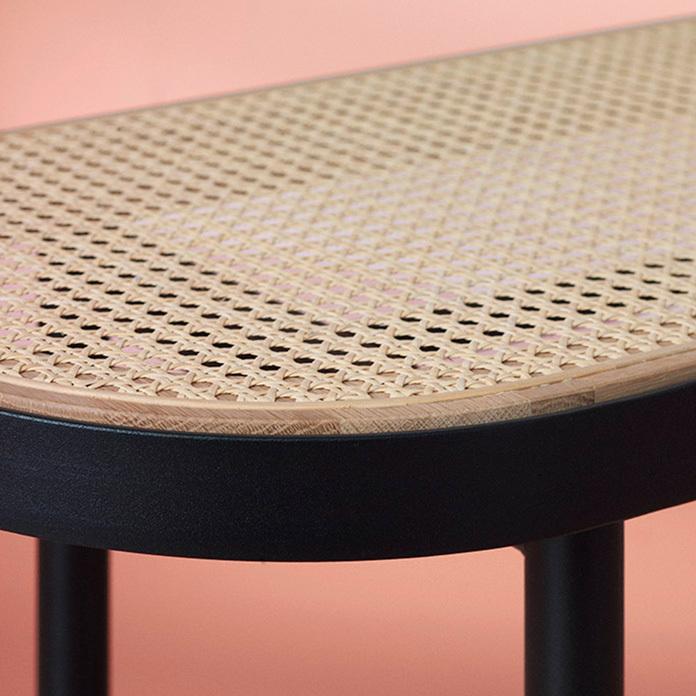 Whereas the Be My Guest table is a modern interpretation of the popular 1960s tile-topped table, the bench displays excellent wood craftsmanship and classic wicker seating using the same rounded shape. Whereas the wood has a distinct Nordic feel, the metal frame creates a lightness; both versions blending effortlessly into any contemporary interior design.